Running along the exterior brick walls of Morton McMichael Elementary School in Philadelphia is a map of the world. Keep walking, and that map morphs into trees, then nerve cells, DNA, atoms, and subatomic particles in one direction and Earth, the solar system, galaxies, and the universe in the other. Called Micro to Macro, the mural is a vision of what’s to come to the walls of schools throughout the city as Philadelphia prepares to host the 2019 BIO International Convention. Leading up to the convention, Mural Arts Philadelphia, a public arts program, is partnering with biotechnology companies and the city government to combine science and art in local schools’ curriculum, with the educational program culminating in as many as 10 murals celebrating the life sciences throughout the city. The project is called the STEAM mural initiative. Micro to Macro is not part of the initiative. It is the product of a previous Mural Arts project, but it serves as inspiration for the new program. It provides an example of what the initiative will produce, starting this year. Two of the ten murals are already in the works: one at Roxborough High School and the other at South Philadelphia High School. Up to six more are slated to begin this year, with two to three more slated to go up next year. The murals will be spread throughout the city, mostly at Philadelphia schools. One major painting is planned for downtown, near the convention site. “Philly is a leader in life sciences,” Dennis Jackman, the senior vice president for public affairs at CSL Behring Biopharmaceuticals, tells GEN. CSL Behring is one of the biotech companies supporting the mural initiative, along with Janssen Pharmaceuticals and Rockland Immunochemicals. The Wistar Institute is also participating in the program. The initiative, Jackman says, will help students realize that they can be a part of the city’s scientific community. 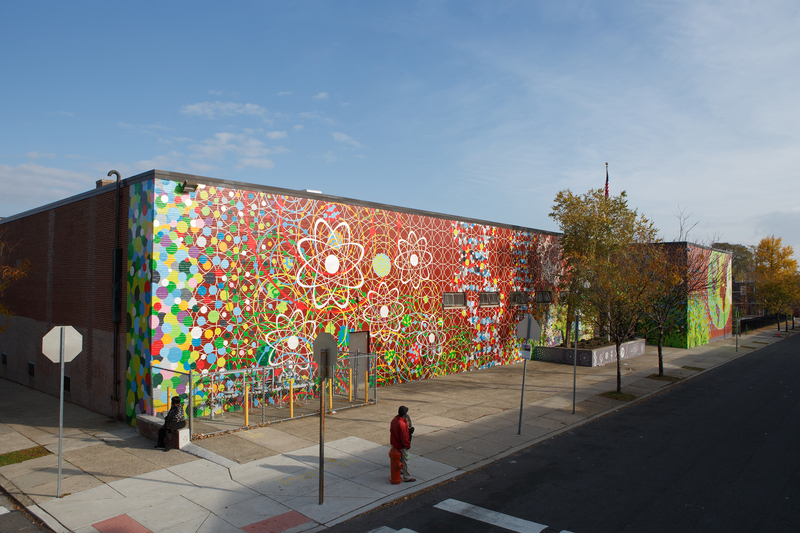 “Kids can often be intimidated by math and science,” Mural Arts Philadelphia founder and executive director Jane Golden comments to GEN in a phone interview. “Art can be a catalyst to encourage curiosity in those fields,” she says. Golden’s goal in starting the STEAM mural initiative was to tap into the power of adding art to STEM education. Jackman notes that art helps people better visualize what science is all about, and through it, science becomes more penetrable, spurring students to dig deeper into math, biology, and chemistry. The project also shows students that they can make a difference in the city in a big, bold way. “We want them to know that their voices count,” Golden says. The mural work gives empowers students to understand the scientific concepts driving the art and learn how to tell a compelling story through art. That story is what makes its way to the walls of the students’ school, with the help of professional artists and others in the community. 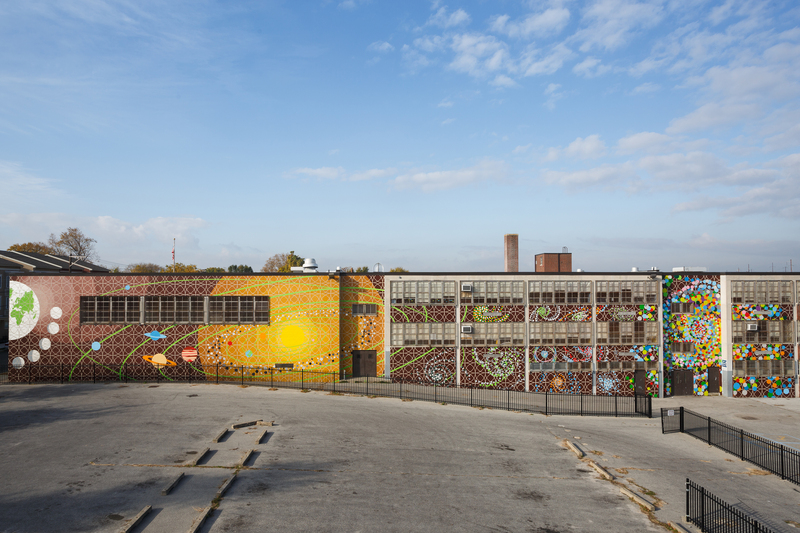 Sponsored by Mural Arts, biotech firms and the city government, the STEAM mural initiative is estimated to cost approximately $930,000 will target 3,000 students, community members, and biotech affiliates in the city. However, the expected reach is far wider, with as many as 23,000 individuals participating in the program through paint days and other public outreach activities. At the root of the initiative is educational curriculum that combines art and science. Teaching artists and core subject teachers collaborate to lead weekly art-making activities for students, with input from biotech firms on curriculum and in-person visits to biotech companies to inspire interest in careers in science. “Different individuals use different approaches to learning. The conventional approach to teaching science is many times faced with resistance or even negativity by some students,” Andrew Greenspan, vice president of medical affairs at Janssen Biotech, Inc., writes to GEN in an email. “Art can provide an alternative mechanism to understanding science.” Science, in many ways, he notes, is an art too. Along with learning, those driving the initiative are looking to revitalize the appearance of Philly’s inner-city schools. These school buildings are pretty uninspiring right now, says Golden. But murals transform schools, and they transform students, she says. After past projects, students have told Golden that they now take pride in their buildings. As part of the STEAM Mural Initiative, students work individually and in groups to create the artistic designs to be painted on each school, then they help artists like Benjamin Volta make the murals. With the focus on life sciences, the murals may explore the innerworkings of genetics and genomics, molecular interactions, and cellular mechanics.